While canola-wheat rotations have been prominent on the Prairies over the last few years, the question must be asked: at what cost? There is no doubt high canola prices have driven tight rotations, but a three-year rotation with pulse crops can be the most profitable and energy efficient approach. “To evaluate the combined effects of preceding crops and [nitrogen] N fertilizer rates, a large, three-year multi-location study was conducted to evaluate the economic effects of legume and non-legume crops and nitrogen rates on costs and net revenues,” says Mohammad Khakbazan, an agricultural economics scientist with Agriculture and Agri-Food Canada (AAFC) in Brandon, Man. To look at these effects, Khakbazan analyzed a three-year crop rotation study led by John O’Donovan, a former research scientist at AAFC in Lacombe, Alta. He evaluated the economic effects of pulse and non-pulse crops and N rates on costs and net revenues of canola grown the following year, barley grown after canola in the next year, the canola-barley portion of the rotation, and the entire three-year rotation. 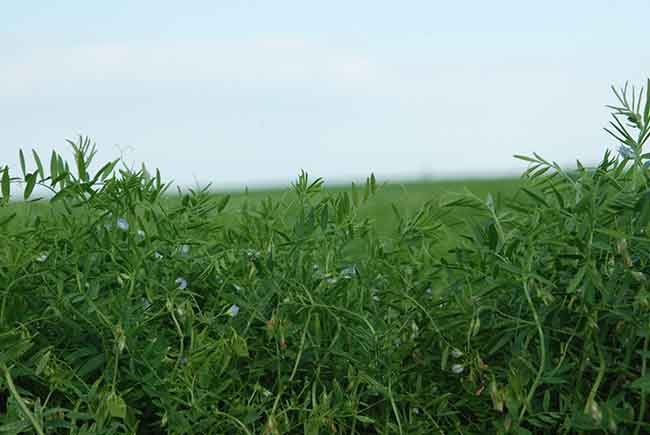 In the study, field pea, lentil, fababean, canola, wheat, and green manure (GRM) fababean were grown at seven sites across Western Canada in 2009: at Beaverlodge, Lacombe and Lethbridge, in Alberta, at Scott, Indian Head and Swift Current, in Saskatchewan, and at Brandon, Man. Canola was seeded in 2010 and barley in 2011, with fertilizer N applied at zero, 30, 60, 90, and 120 kilogram per hectare (kg/ha) to the canola and barley crops. Net revenue was defined as the income remaining after paying for all cash costs (such as seed, nutrients, weed and disease control, transportation, fuel and oil, repairs, crop insurance premiums, miscellaneous expenses, land taxes and land investments, and interest costs on variable inputs), ownership costs on machinery and buildings (depreciation, interest on investment, and insurance and housing), and labour. No allowance was made for interest costs associated with land equity. Crop commodity prices were collected from various sources. Net revenue was assessed for canola grown in 2010 on the six preceding crop stubbles, barley in 2011, canola and barley combined over the two years, and the preceding crop plus canola and barley net returns over the three years. The economic analysis shows growing lentil, field pea and fababean in rotation produce superior net returns. Averaged over the three-year crop rotation, the lentil-canola-barley rotation delivered the highest net return averaged over the three years at $118 per acre (/ac) ($292 per hectare, or $292/ha); field pea-canola-barley averaged $115/ac ($284/ha) and fababean-canola-barley averaged $104/ac ($256/ha). “This indicates significant N fixing capacities of legumes and positive contribution to the yield of subsequent canola and barley crops,” Khakbazan says. The lowest three-year average return included fababean as a green manure in the first year. While there was a positive yield and economic response in the canola and barley years, the loss of revenue in the green manure year was not enough to make up for the canola and barley improvements. The net return on N applications was maximized between 60 and 90 kilograms per hectare (kg/ha) depending on location and crop type (canola or barley). Khakbazan says growers could reduce the amount of N applied to canola and barley without diminishing net returns. As a measure of profitability, energy use efficiency (EUE) is a measurement of the ratio of outputs (crop yield) to inputs (fertilizer, fuel, and machinery use). An analysis of EUE on the multi-year crop rotation found lentil and pea in the crop rotation provided the greatest EUE over a three-year cropping sequence, because N fertilizer wasn’t required in the pulse phase and yields of canola and barley after pulse crops were generally higher. “Energy use efficiency (EUE) is a key concept which may be used to benchmark best practices in cropping systems through comparison of the impacts of both preceding crops and agricultural inputs on crop yield. The EUE is a metric to measure how cultural practices, such as N application and rotational crop use, can influence sustainability in a canola-barley rotation,” Khakbazan says. These results highlight the importance of including pulses in a crop rotation. Over the three-year crop rotation when a pulse crop was included, the combined reduction in N requirements and improved yields resulted in the most profitable and environmentally sustainable crop rotation. A rotation with canola in two of three years was not recommended. Growing lentil in a three-year rotation with canola and barley resulted in the most profitable crop rotation.